Reggie is one of the American duelists who accompany Kaiser Ryo on his return trip to Duel Academy. Under Tragoedia's orders, she participates in the Academy tournament and investigates Judai and his ability to communicate with monster spirits. 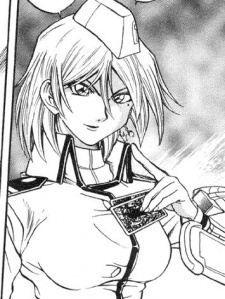 She plays an Angel deck, which includes her Legendary Planet Series monster, "The Splendid Venus".